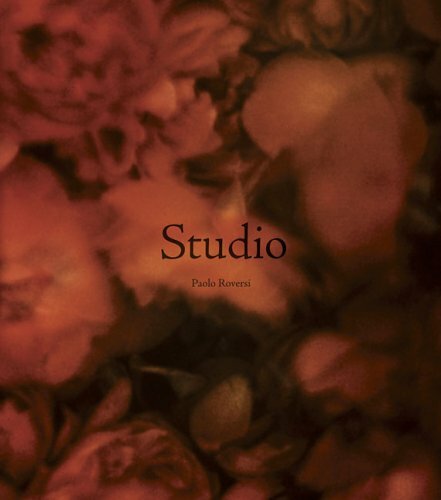 Paolo Roversi is known internationally for his romantic, intense, and ethereal fashion images and portraits, photographs that quiver on the edge of their own seemingly fragile existence. A typical Roversi picture appears as if captured in the process of becoming-it develops on the page before our very eyes or, depending on perspective, it might simply vanish into the ether. Since 1980 Roversi has worked primarily with 8-by-10 inch Polaroids, and rarely on location. Studio is a milestone in his burgeoning bibliography. Designed as a series of 60 gatefolds, at first glance the book appears to be a collection of empty pages. The experience of looking is akin to that of peeling away the leaf from a Polaroid-out of the blackness an image is revealed as if by magic. In images that represent nearly two decades of work, the collection offers a self-portrait of the artist and a window into the place where he creates his art. These photographs are a mix of both the published and the highly personal, but all have the intimacy engendered by that place where Roversi feels most at home. © 2019 LensCulture, Inc. Photographs © of their respective owners.